Microsoft is announcing details of the Windows Phone 7 launch this week. The phone will allow customers to make cheap VoIP calls over mobile and fixed networks, as well as access the internet and other advanced features. Microsoft considers this product crucial to it fortunes in the smartphone industry after the previous failed launch of the KIN phone. Yet the early signs are not encouraging, especially given the popularity and dominance of the Android and iPhones. According to The Register, a recently held free day of training on developing for Windows Phone 7 was only one third full. Neither is the phone being offered by the US Network Giant Verizon. Their President Lowell McAdam suggested that the market belongs Google, RIM and Apple because the Windows Phone 7 is not leading edge. However the Register IT expert Tim Anderson said that he was impressed with the phone concept, even though no-one has had the chance to try it out yet. He stated: "The phone is innovative. While the touch UI does borrow familiar ideas thanks to Android and iPhone, the dynamically updating tiles and the hub concept are distinctive. "What McAdam really means is that the Windows smartphone might not succeed in the market, but such views from someone in his lofty position may be self-fulfilling." The platform is based on Silverlight, .NET and XNA and while Anderson says that this is impressive technology, similar technological advances did not manage to save the palm VoIP smartphone from obscurity. Yet Microsoft is a huge company which has already shown that it is ready to go all out on advertising spending where the Windows Phone 7 is concerned. And early reviews suggest that Windows Phone 7 shows encouraging attention to design and ease-of-use. For now Microsoft can afford for the phone to fail, but another blemish will sit uncomfortably on their superior track record. 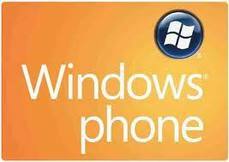 0 Response to "Windows Phone 7 to Provide Mobile VoIP"